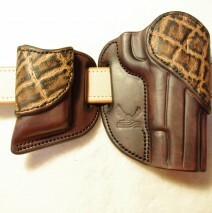 For aficionados, there’s nothing like an all-leather holster for style and comfort. These Invisi-Tuck holsters from American Holster Company allow the user to tuck the firearm at the preferred depth and angle with a classic touch. USCCA member Jay Nelson, of American Holster Company, had an enterprising idea: why not make hybrid-style tuckable holsters entirely out of leather? These attractive inside the waistband (IWB) holsters allow the user to adjust the depth and angle at which the gun will ride, producing a very customizable and comfortable fit. 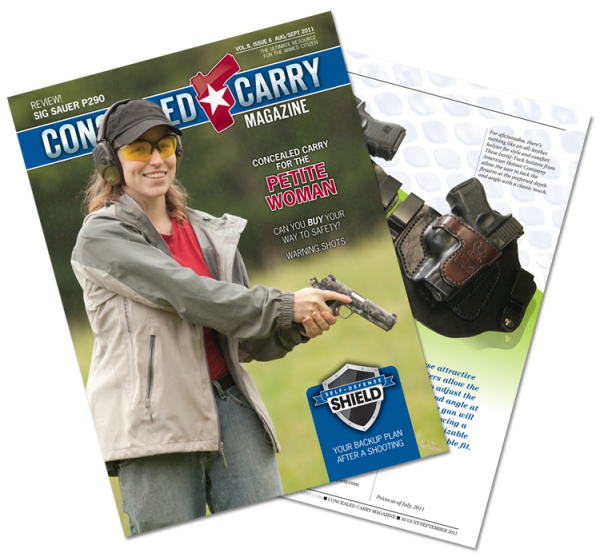 These attractive holsters allow the user to adjust the depth and angle at which the gun will ride, producing a very customizable and comfortable fit. 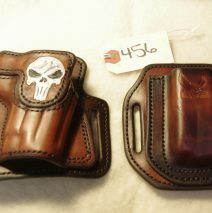 On the front, a panel of thick leather provides extra reinforcement for the holster mouth, while also providing a canvas for stamp work, including Jay’s signature eagle-and-flag design. 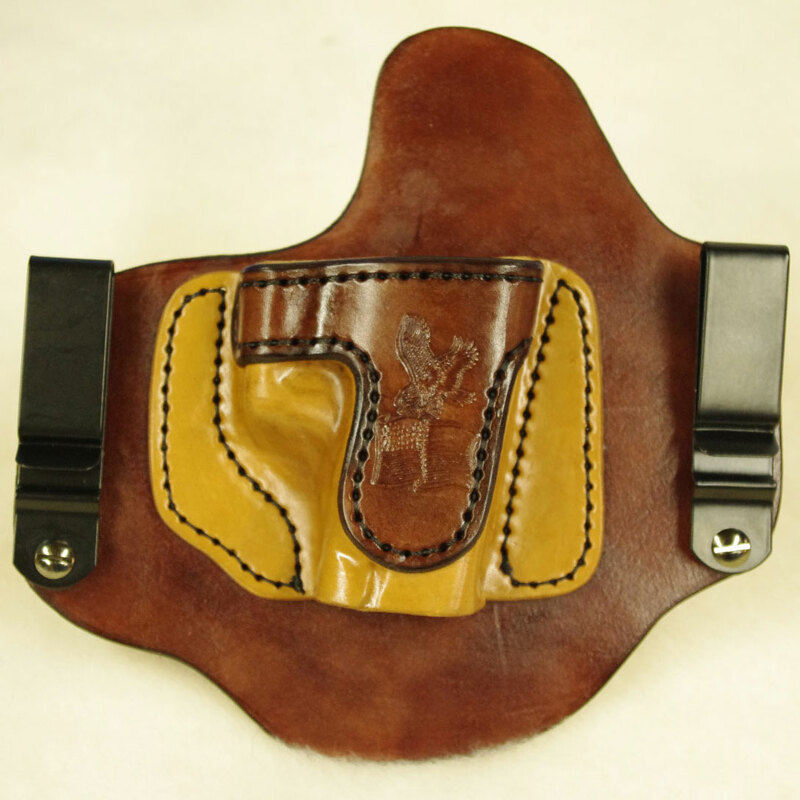 While the body of the holster itself is thick and sturdy, the rear panel of thin leather flexes and conforms to the wearer’s body for maximum comfort. 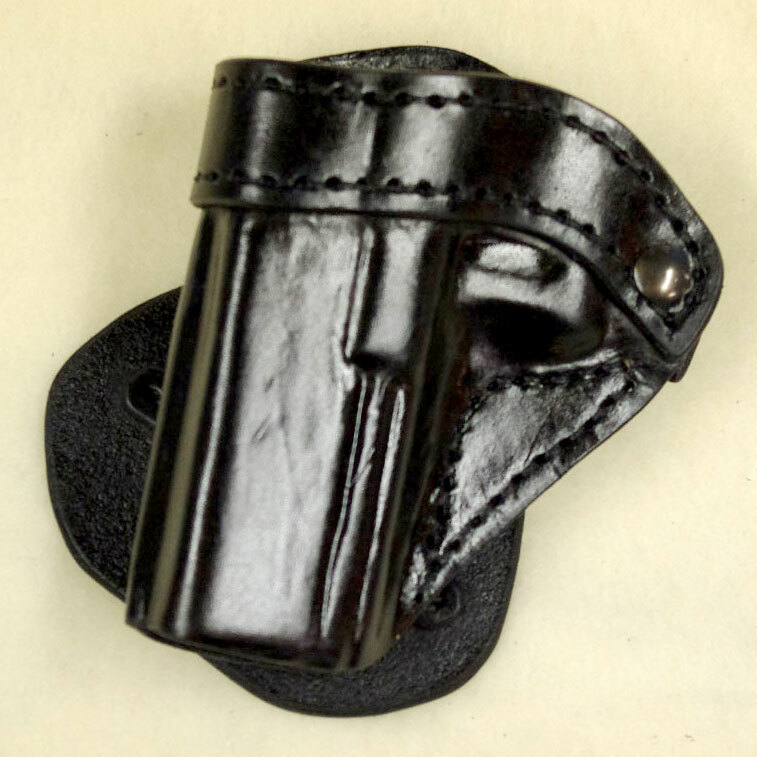 Because the holster naturally curls around the user’s waist, the holster retains the gun very securely when worn even though the gun seems likely to fall out when tested off the body. The Invisi-Tuck comes standard with a combat cut on the rear panel, allowing the user to easily get a solid grip for an unhindered draw. 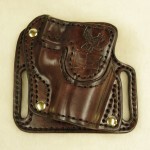 As with other holsters of this type, the Invisi-Tuck does have a few quirks. 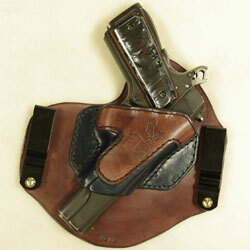 First, because it is a wide holster, it spreads the weight of the firearm and distributes it along the belt. That’s great news for comfort and for concealment, but it can produce a mild challenge for slender folks because it does take up the belt real estate in a big way. Second, to make the holster adjustable for cant and depth, the snug metal clips are held in place with easily-removable screws. 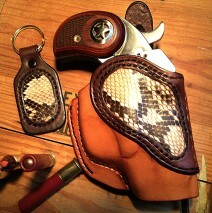 As anyone who’s ever adjusted a holster knows, screws can come loose when the user least expects it. My advice: after you’ve chosen your own “ideal” depth and angle, put a drop of Loctite on the screw threads to hold those puppies in place.